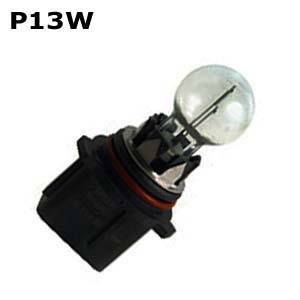 A: Our LED replacement bulbs are street legal as long as they are Xenon White in color. 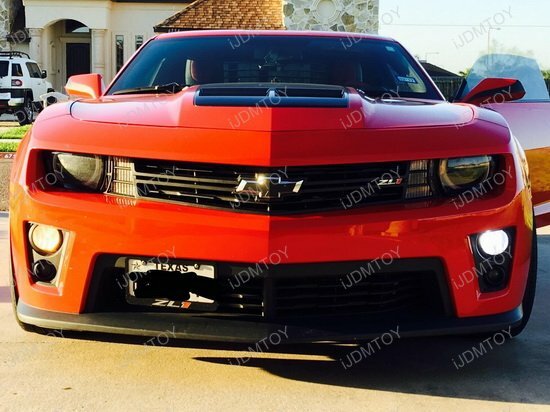 The Ultra Blue color we carry is mostly for off road or show purpose only. 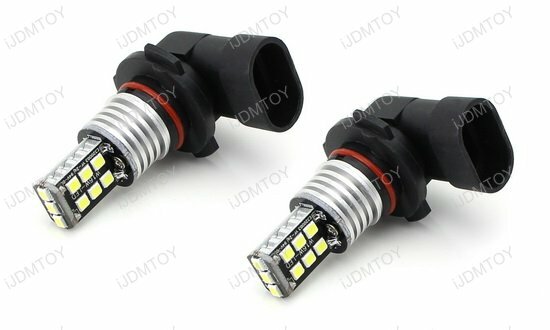 Q: Will these 5202 replacement LED bulbs fit my 2010-2013 Chevrolet Camaro? 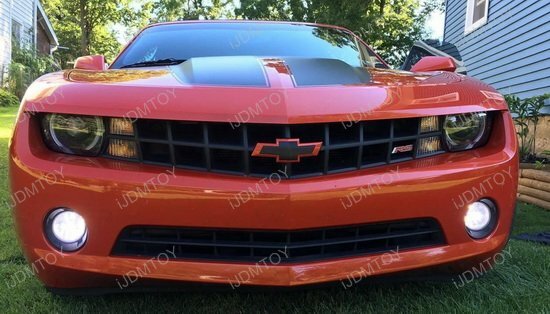 A: These lights will only fit the 2010-2013 Chevrolet Camaro WITHOUT factory equipped HID headlights ONLY. 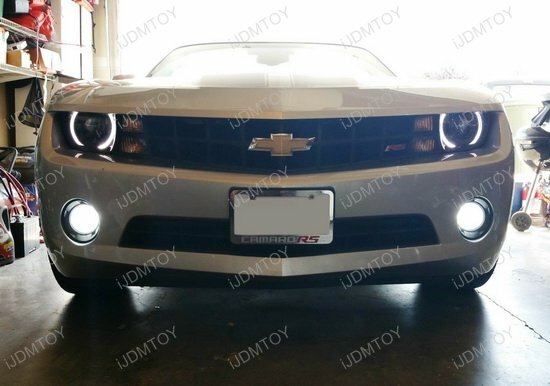 For Chevy Camaro with factory equipped HID headlights will use P13W bulbs instead. 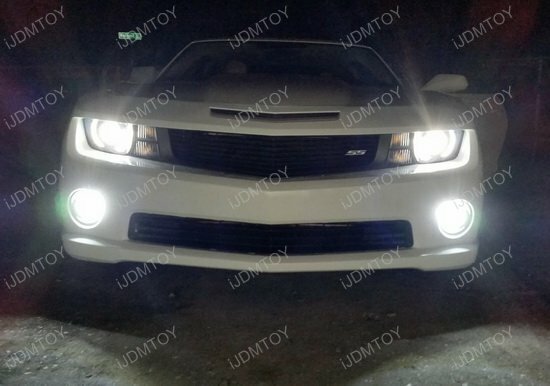 This page features one pair xenon white 30W high power 15-SMD 9005 5202 H11 or P13W LED bulbs, specially designed for fog light replacement. 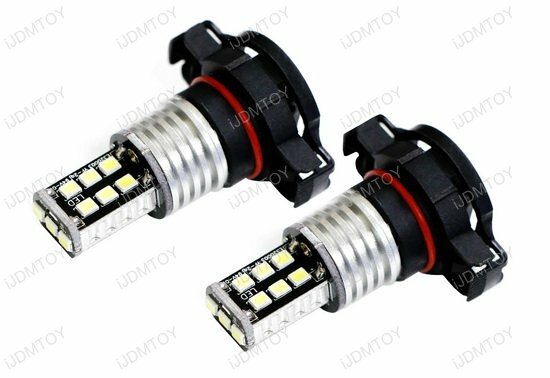 This high power 15-SMD LED bulb is powered by 3 pieces 2835 SMD LED chips on top with 12 pieces 2835 SMD LED chips on the sides with an amazing 750 lumen raw lighting output. 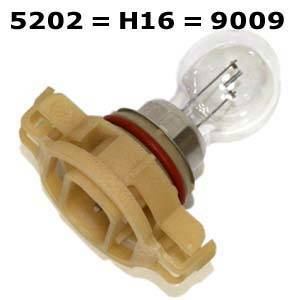 To install these LED bulbs, simply remove your existing 9005 5202 H11 or P13W halogen bulbs and directly plug back the LED replacement bulbs. 4.5 of 5 Total Reviews: 7 Write a review. 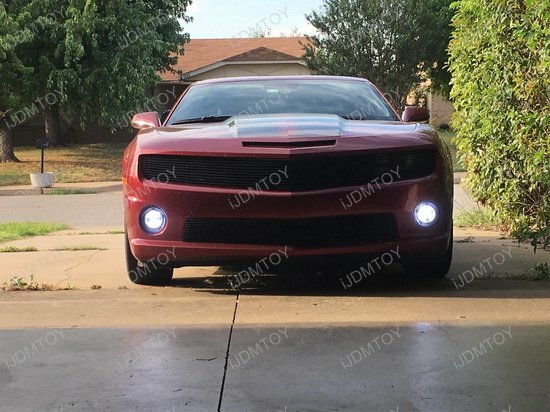 These high power LED running lights are a great match to the plasmaglow 10875 LED kit. 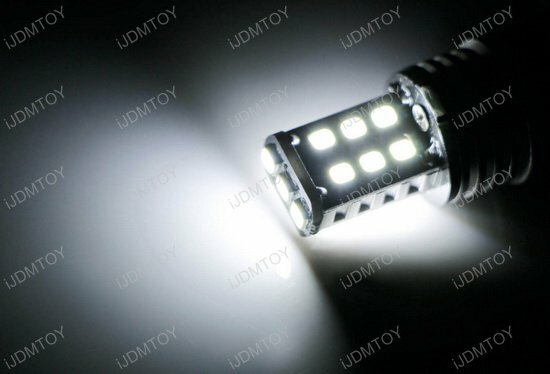 The xenon white light seem to match up in light color and intensity. Easy installation, too. 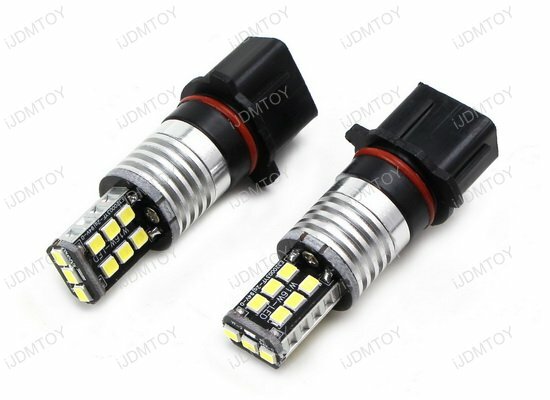 So far so good, these xenon white LED daytime running light bulbs are working fine in my 2014 Cadillac Escalade. 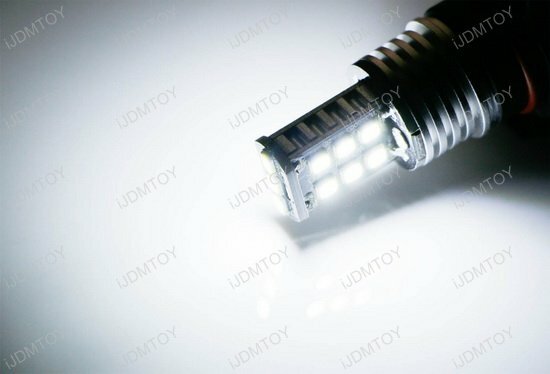 Works great, easy install on my 2012 Lexus GS350. 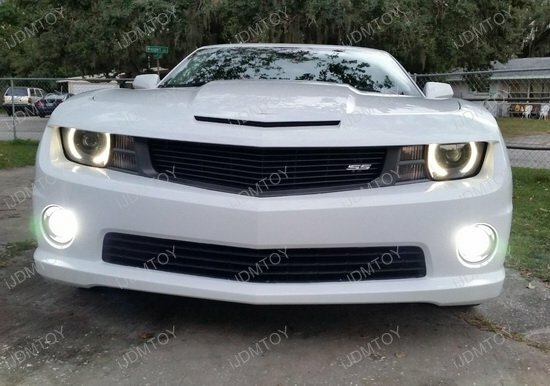 No more yellow daytime running lights. 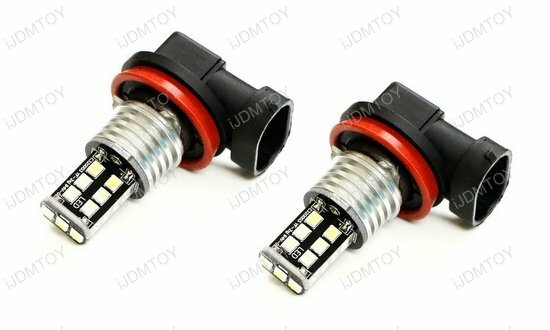 Only complaint is there is a slight flicker in my LED daytime running light bulbs. Not noticeable unless you really pay attention. 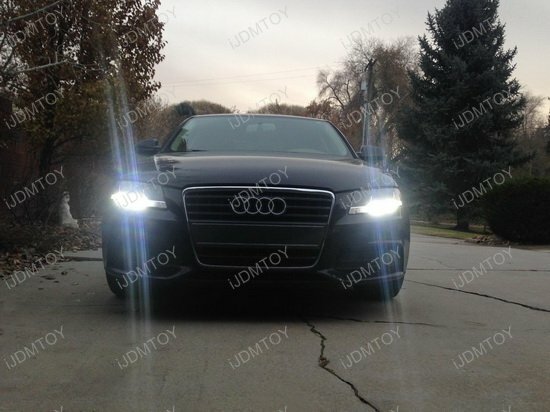 These HB3 LED daytime running lights work great on my Lexus LS430 but lose function for high beams but that's fine with me since I don't use em. It's great that they don't flicker too!